Over $1,000 Raised – Thank You! A huge thank you if you bought an ebook, gave a donation or retweeted my post during the Blogger’s Guides sale last week. We raised over $1,000 ($1,010.80) for Divya Shanthi: that’s £631.75. 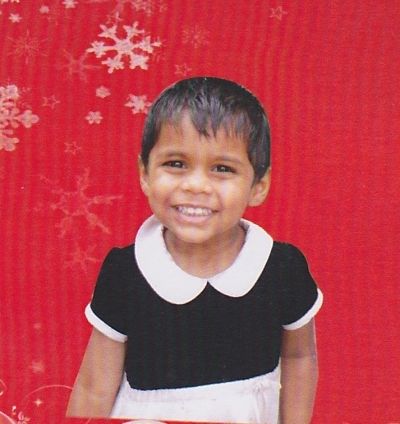 As before, some of money will go to sponsor Ayshu (pictured below). The rest will be used to support other children in the Divya Shanthi Baby Home and the school there.